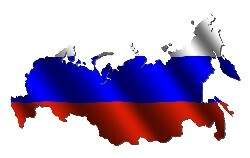 Below is a list of some common eco green environmental issues and topics in Russia. As a Commenting Citizen Constituent, you are encouraged to provide your thoughts, ideas, opinions or solutions about this list and other environmental issues on your mind in the form below and also enjoy what others have posted and shared as well. Currently, there are no Eco Delegate Representatives of the Russian Assembly Forum. 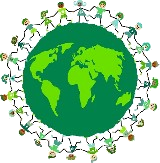 If you are interested in keeping the citizens of Russia informed with up-to-date discussion, debate and possible activism, and you would like to contribute articles to this forum on a regular or semi-regular basis, sign-up to become an Eco Delegate to represent your region in Russia, as part of The United Nations of Eco Friendly Green Citizens. The following are some of the environmental issues that are facing the green citizens of Russia. What are your thoughts or ideas about these topics and what other issues do you feel should garner some attention from your fellow citizens and politicians? Most Russians do not believe that a rise in the cost of fuels is necessary in order to address the problem of climate change. This bodes well for the country as its economy picks up speed. Russians use about 450 m3 of water each per year, a number that is about one-third of that used by the average American or Canadian. As one of the only countries to see a reduction in carbon dioxide emissions per capita (by $1 GDP) in the past 15+ years, Russia's influence on climate change has shrunk approximately 33%. Russia's vast lands offer many opportunities for environmental sustainability, yet their protected regions grew only 14% from 1990 levels in recent years. This is higher than Canada, but lower than countries like the UK and the United States. Organic foods are beginning to gain a foothold in the Russian Federation, with the sales volume of organic produce slowly increasing. The 250 kg of waste produced by the average household in the Russian Federation remains low compared to EU accession countries, which hovers around 400 kg per year in countries like Estonia and Bulgaria, and 300 kg in Poland and Romania. Of the top 10 most polluted places in the world, four are located in the Russian Federation, and two in former Soviet republics. Many of these sites span several borders so that a total of seven countries are caught in the mess. These sites are most often the result of Cold War chemical weapons centers and the like. What Are YOUR Feelings, Ideas, Thoughts, Comments Or Solutions On These And Other Environmental Issues Facing Russia And It's Citzens? This page and the Russian eco friendly green community is not complete without hearing what you have to say about the issues and challenges that Russia is up against. 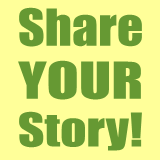 Pay special attention to your TITLE and the first TWO LINES of text, because this is what will be posted below on this page in the "What Others Visitors Have Shared" section as a link to your full page. If written well, the title and first couple of lines should attract attention and visitors to your page and get lots of comments posted on what you have shared, especially if it is controversial. If forests are Earth’s lungs, then water is certainly Earth’s blood. The same very blood that is being poisoned by humans every single day. National Assembly Forums Were Created To Unite Eco Friendly Citizens Within Specific Countries & Ultimately All Green Citizens Of The World!